Displaying excellent craftsmanship, the Blackened Markward Cuirass consists of a breastplate and backplate connected with leather straps. Rivets add detail to the front and back, matching the dark metal finish of the plate armour. The steel cuirass is designed to go well with other medieval armour, especially our Markward-style pieces. 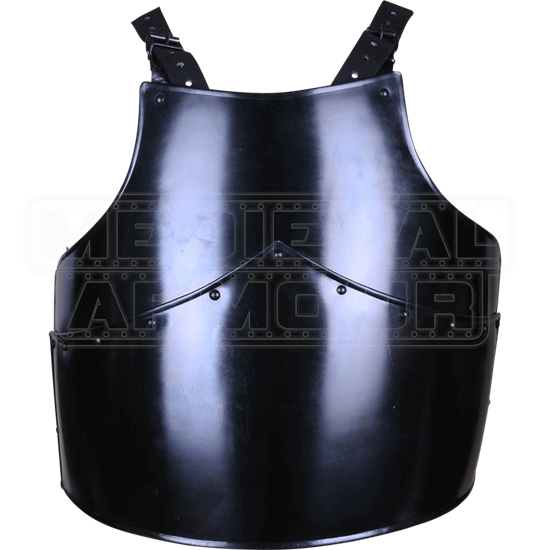 We recommend wearing a gambeson or other padded arming wear with this torso armour to maximize comfort. 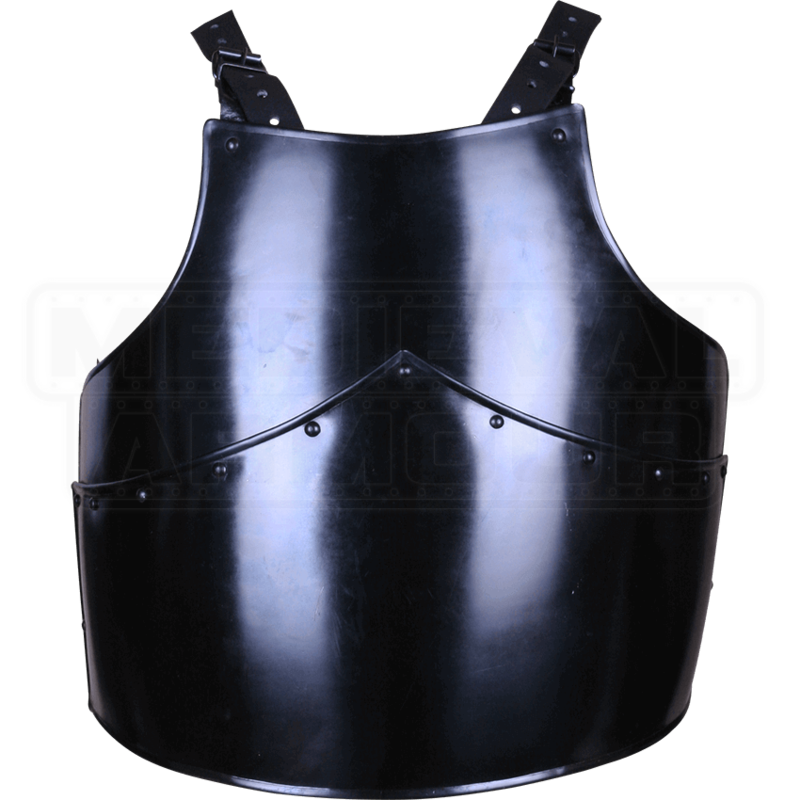 The metal cuirass works well for LARP events, re-enactments, and Renaissance fairs, making it a great choice for warriors and collectors.